In my talk, I will give an introduction to two central topics of bioinformatics prediction method development. 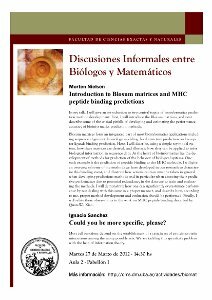 First, I will introduce the Blosum matrices, and next describe some of the critical pitfalls of developing and estimating the performance accuracy of bioinformatics prediction methods. Blosum matrices form an integrated part of most bioinformatics applications including sequence alignment, homology modeling, local structure prediction and receptor-ligands binding prediction. Here, I will describe, using a simple toy-model system, how these matrices are derived, and illustrate how they can be applied to infer biological information in sequence data. At the heart of bioinformatics lies the development of methods for prediction of the behavior of biological systems. One such example is the prediction of peptide binding to the MHC molecule. I will give an overview of some of the methods we have developed in our research to characterize this binding event, and illustrate how serious caution must be taken in general when developing predictions methods and in particular when assessing their predictive performance due to potential redundancy in the data use to train and evaluating the methods. I will demonstrate how one can significantly overestimate performance by not dealing with this issue in a proper manner, and describe how, according to me, proper method development and evaluation should be performed. Finally, I will relate these observations to the work on MHC peptide binding described by Quan-Wu Xiao. Most cell functions depend on the establishment of a certain set of protein-protein interactions among the mony possible sets. We are tackling this specificity problem with the help of information theory. En esta charla informal intentaré transmitir, desde mi lugar de Licenciada en Matemática, algunos conceptos que aprendí al cursar Introducción a la Biología Molecular y Celular. Principalmente, voy a hablar de ADN, proteínas, y cómo se llega a las proteínas a partir del ADN. Me voy a basar en los apuntes de la materia y en el libro Molecular Biology of the Cell, de Alberts et al. In order to survive in a changing environment a cell has to be able to coordinate the production of several specific proteins. The process of gene expression and protein synthesis is highly regulated by a complex network of biochemical reactions that warrants that the right molecules will be synthesized at the right time. Starting by more than ten years ago the microarray technology made it possible to identify at a genome-wide level which genes were being expressed and translated into the respective proteins under a given condition. Since then, the analysis of gene expression patterns has had a wide range of applications, including: the development of molecular markers for several diseases, the inference of genetic regulatory networks, molecular subclassification of cancer types, global analysis of transcriptome changes, etc. In this talk I will introduce basic ideas related to gene expression analysis, focusing on non-supervised techniques, the development of useful metrics , and graph-related concepts. In this informal talk we will show an application of Learning Theory to Computational Vision using hierarchical kernels. We will compare the learning representation with a wavelet pyramid representation. In the first part of the talk we will discuss some questions that have arisen in the audience in my first talk. In the second part of the talk I will comment on the different questions related to the research that is being conducted at my lab. I will continue introducing learning theory, giving some elementary examples and details. During my talk I will try introduce the concepts related to: what is a protein?, how proteins work? How proteins interact with other molecules? I will give an introduction to learning theory with special emphasis on Kernel methods and a hierarchical kernel used by Smale in his work on immunology. Casi todos los días podemos leer -incluso en la prensa popular- sobre avances en biología y medicina, en genómica, en diagnóstico de enfermedades y tratamientos, en desarrollo de drogas, en teoría evolutiva, en biología de sistemas, que todos tienen una importante componente matemática. 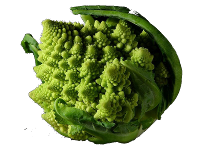 Los matemáticos se han empezado a interesar en qué puede decir la matemática sobre estos temas, qué parte de la matemática es relevante para el modelamiento y entendimiento de los fenómenos biológicos y qué nuevos desafíos se presentan a los matemáticos y a la matemática. De hecho ya hay institutos y conferencias dedicados a varios aspectos que vinculan la matemática y la biología, internacionalmente y aquí en la región. Con estas discusiones informales queremos intentar establecer una vía más de diálogo en nuestra facultad y organismos cercanos, donde por un lado podamos ver algunos de los problemas centrales que están siendo considerados, que puedan estar relacionados con desarrollo de matemática, y por otro lado intentemos aislar algunas teorías matemáticas que puedan aplicarse a esos problemas. Los encuentros tendrán lugar todos los martes de marzo a partir de las 14:30hs. Relacionado con esto, Steve Smale, uno de los matemáticos más importantes del siglo 20, y que hace ya varios años está pensando en algunas de estas cuestiones, vendrá a dar una serie de charlas en la ciudad de Buenos Aires en la semana del 9 al 13 de Abril de 2012, en el marco de las "Conferencias Internacionales de Investigación Interdisciplinaria, CI 3", que están siendo lanzadas por el MinCyT. Estas discusiones informales permitirán también ponernos más en tema para la visita de Smale. Thomas Poggio and Steve Smale, The Mathematics of Learning: Dealing with Data, Notices AMS (2003) 537-544. S. Smale et al, Mathematics of the Neural Response, Foundations of Computational Mathematics, (2010), 67-92.